in association with the Social Research Association (SRA). Friday, 1st July 2016. Carmelite Centre, Aungier Street, Dublin 2. The last decade has been one of dramatic change for Ireland. Through boom, bust, austerity and recovery, Irish society has experienced challenges, opportunities, successes and failures.Throughout the period, the impact of these experiences has been felt differently by people in different sectors, regions, age groups and socio-economic categories. Given the dramatic nature of these changes, questions arise for all areas of policy, including social policy, as we look back and look forward. The conference consisted of an opening plenary, with speakers Michelle Norris (UCD) and Sean O'Riain (Maynooth University), followed by discussion. This was followed by four periods of break-outs seminars, each with four themed parallel sessions. We'd like to thank our sponsors: The Environmental Sustainability and Health Institute at DIT, the Irish Gerontological Society, the Nevin Economic Research Institute, Social Justice Ireland, TASC, the School of Social Work and Social Policy at TCD, and particularly the Social Research Association, in association with whom the conference was organised. The conference slides are available here. A full list of the conference abstracts are available here. Tuesday, 1st March 2016. Management House, Dublin Institute of Technology, Aungier Street, Dublin 2. The seminar consisted of a presentation from Rory Hearne of TASC, followed by questions and debate. The slides from the presentation are available here. Understanding the distribution of wealth is central to our understanding of economic inequality. Highly unequal societies are typified by high levels of wealth concentration, where wealth is held by very few people. Wealth tends to be distributed more unequally than income, and a highly unequal distribution of wealth causes problems for both the economy and society. Measuring wealth is notoriously difficult. There is a lack of administrative data on wealth holdings, while surveys of wealth typically underestimate the wealth of those at the top. Until recently, very little was known about the distribution of wealth in Ireland. The most comprehensive study of wealth in Ireland was from Nolan in 1991, which relied on data from 1987. The publication in 2015 of the results of the CSO’s “Household Finance and Consumption Survey”, part of a Euro-area survey, has generated new data on wealth in Ireland. This presentation presents an analysis of this new data aimed at establishing new insights into the current distribution of wealth in Ireland and how it has changed over time. It also looks at what is driving the distribution of wealth in Ireland including real assets, financial assets, land and debt. The paper looks at the wealth by different household structures, including single adults, couples without children, couples with children and single-parent households. 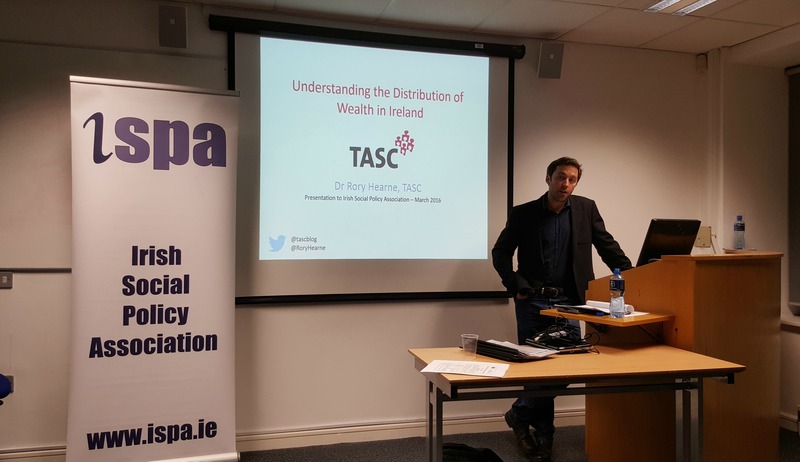 The presentation is based on TASC research on Ireland’s wealth distribution. ​Speaker biography: Rory Hearne is Senior Policy Analyst in TASC, the Think Tank for Action on Social Change. He has a PhD in Political and Economic Geography from Trinity College Dublin and worked as a Post-Doctoral researcher with the Department of Sociology, Maynooth on the impacts of austerity on human rights. Rory was also a Lecturer in Political and Economic Geography in the Department of Geography, Maynooth. He also worked as a policy researcher and community development worker with Barnardos and the inner-city Dolphin House Community Project. He has researched and published extensively in the areas of housing, politics, political economy, privatisation, human rights, social movements, and community development. He is author of the book Public Private Partnerships in Ireland published by Manchester University Press (2011). Wednesday, 22th April 2015. Management House, Dublin Institute of Technology, Aungier Street, Dublin 2. 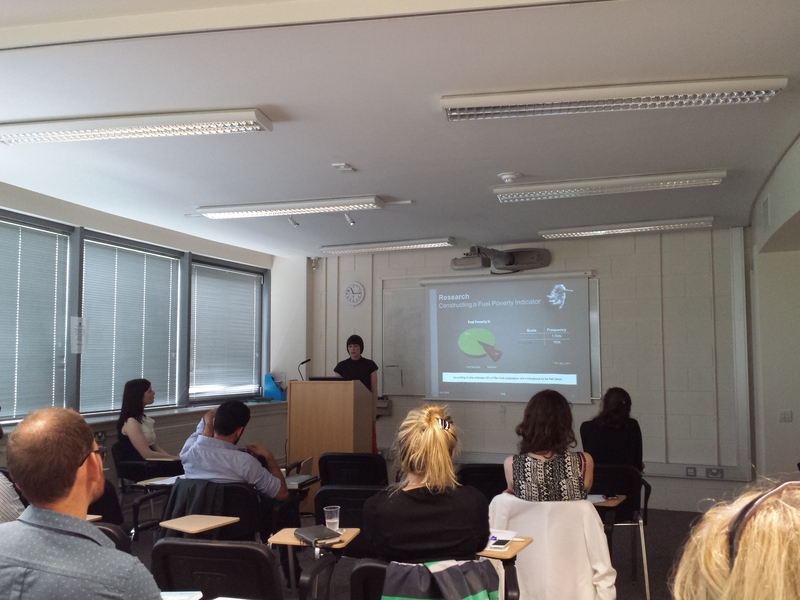 The seminar consisted of a presentation from Joe Larraghy or Maynooth University, followed by questions and debate. The slides from the presentation are available here. It is now six years since the global financial crisis, which brought social partnership in Ireland to a shuddering halt. Now, in the run-up to an election year in 2016, and a backdrop of improvements in economic growth, unemployment and other indicators, there have been some signs that the government is interested in re-opening some form of "social dialogue". In this presentation, based on his book, Asymmetric Engagement, Larragy analyses of the experience of social partnership from the perspective of the participation of community sector organisations during the 1987 to 2008 period, examining questions such as: Was it a failure? Were there any tangible gains? Were the Community and Voluntary Pillar organisations incorporated? He explores the theoretical significance of what has been recognised as quite a novel experiment in participatory democracy. Finally, he explores the prospects for the future of community sector engagement with government on social policy development. Tuesday, 4th November 2014. Management House, Dublin Institute of Technology, Aungier Street, Dublin 2. Ronan Lyons (TCD) "Housing – Where we are now? Is there another bubble?" Nat O’Connor (TASC) "Housing – Where should we be going?" Michelle Norris (UCD) "Social and affordable housing and the recovery"
The ISPA seminar on housing included three presentations, followed by a questions and answers session. Michelle is Senior Lecturer at the School of Applied Social Science, University College Dublin. She has worked in local government social housing manager, as a central government housing researcher and as an academic. In 2010 she was appointed by an Taoiseach to National Economic and Social Council. Michelle has researched and published on social housing management and finance, urban regeneration in Ireland and across the EU. Michelle has written extensively on housing policy, her latest book is entitled Social Housing, Disadvantage and Neighbourhood Liveability. Nat is Research Director in TASC, the think-tank for action on social change. He has previously held the roles of Director and Policy Analyst with TASC. Nat holds a PhD in political science from Trinity College Dublin. Before joining TASC in 2009, he led the research team in the Homeless Agency. Nat has also worked as a consultant to local government and has lectured in NUI Maynooth and Trinity College Dublin and contributes regularly to electronic and print media. 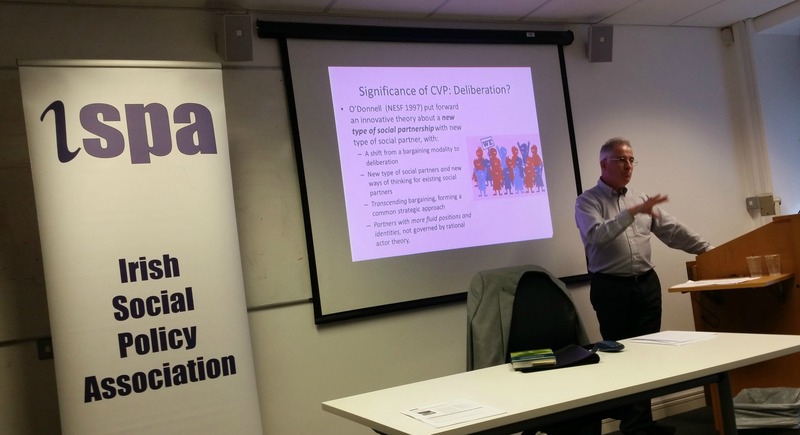 The Irish Social Policy Association (ISPA) hosted their Postgraduate Conference on Friday, 11th July 2014 in the Seminar Room of the UCD Geary Institute. The conference programme can be accessed here. Guest speaker, from the Department of Social Protection, was Dr. Kasey Threadwell Shine. Dr. Threadwell Shine's presentation on Linking Social Policy Research and Social Policy Making was very well received; the slides from her presentation can be accessed here. Postgraduate students past and present gave presentations across sessions on the themes of Community Development and Intervention, Health and Social Inclusion.